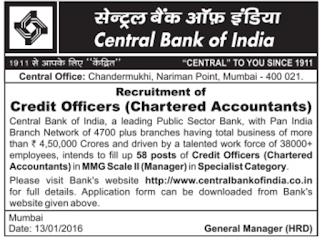 Central Bank of India has published a Advertisement for below mentioned Posts 2016. Check below for more details. 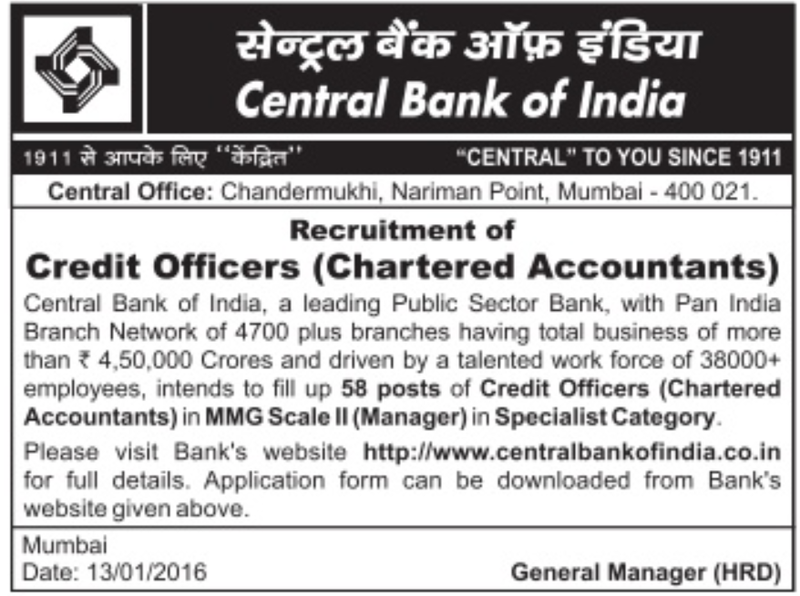 How to Apply: Eligible candidates may send their application & necessary documents to given address in the advt.